Review your local ordinances for backyard chickens. Mary Beth Henry, the UF/IFAS small farms extension agent for Polk County, says, “If you live in an area zoned residential, check with your local government on any ordinances that may apply. Polk County has several municipalities with ordinances that prohibit roosters and limit the number of birds, as well as the proximity of the coop to other properties. Most of these use complaints as a starting point for enforcement so be a good neighbor and don’t let your chickens roam. Learn more about local ordinances by clicking here. Be sure you have the space necessary to provide appropriate care. You’ll need to build a coop and an enclosed run to protect your chickens from predators and bad weather. Backyard chickens require protection from predators such as raccoons, rats, owls, hawks, and cats. An enclosed space for them to stay at night is essential for their protection. Ensure that the coop is free of small holes for predators to sneak in. There is an endless variety of coop designs with just as much range in cost. If you have a small space in which to raise the birds, choose breeds with a calmer temperament and avoid birds that are listed as active. Active birds will not be happy in close confinement. Check which breeds do best in your local area. You can buy chicks in the spring at most feed and seed stores or from mail order sources. During cold snaps, be sure to provide a heat lamp to keep them warm. “Choose a breed wisely. Some are known for their higher egg production and interesting colored eggs,” says Henry. Have daily feeding and sanitation for your backyard Chickens. Also, be sure to remove the eggs daily. Be aware of chicken health and potential diseases. “Salmonella can be a lethal bacteria and chickens carry it. 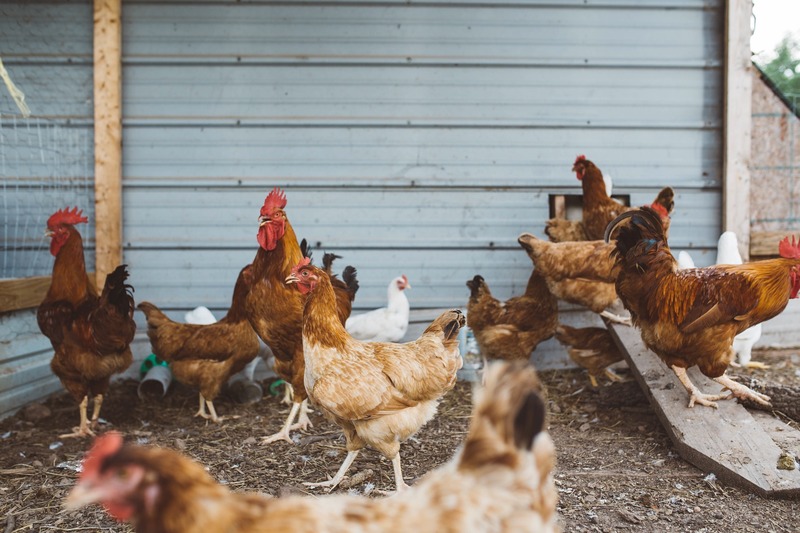 Three deaths and multiple outbreaks have been reported due to Salmonella infections related to backyard chickens. The Centers for Disease Control has a great graphic to explain the idea of keeping chickens outside, as it appears the cases may have a common thread of getting a little too cozy with these feathered companions. More information can be found at the CDC page about Salmonella,” says Henry. Henry leaves us with this: “I think the most important thing is to not be afraid to try it! A backyard coop does not have to be fancy in order to get the job done.” So if you’re thinking about starting a backyard chicken coop, do it. It’s worth the time and effort.